Cape Town – The Industrial Development Corporation (IDC) should have foreseen that it was risky to convert a loan to Oakbay Resources into shares and its intended legal action to force the company to pay back the R293m owed to the IDC may be too little, too late. This was the view of Melanie De Nysschen, corporate finance principal at Bravura Capital. De Nysschen pointed out though that it’s a positive step that a government entity such as the IDC is taking legal action against the Gupta family – the majority shareholders of Oakbay. “It’s good that this is heading to court. 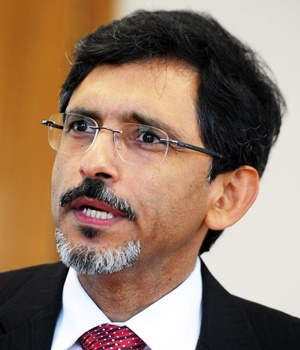 Minister [Ebrahim] Patel [Minister of Economic Development] and the IDC must press on with this and hopefully the IDC will get some money back through attaching assets,” De Nysschen said. On Thursday, Patel, who is the political head of the state-owned entity, said in response to a Parliamentary question that he had given Oakbay until midnight (November 23) to pay back its R293m loan to the IDC. Business Day reported earlier on Friday that the money had not been paid by the deadline set and that legal action would proceed. The IDC agreed in 2010 to lend Oakbay R250m at a real after-tax internal rate of return of 10%. Oakbay used the money to buy the Shiva Uranium mine. The loan was subsequently converted into equity – a move that was irresponsible from the outset, said De Nysschen. “Oakbay was in arrears with their interest payments on the loan and the IDC’s agreement to convert the loan into shares was tantamount to putting band aid on a wound that needed the attention of a trauma surgeon,” De Nysschen said. The IDC, De Nysschen said, should have seen red flags then and that the valuation did not support the underlying assets. Patel said he decided to launch an investigation into Oakbay following revelations of unlawful manipulations of the company’s share price. In July this year, the IDC board appointed a legal team led by Advocate Geoff Budlender SC to advise the entity on the way forward. Based on the legal advice, the IDC cancelled the restructuring agreement with Oakbay.